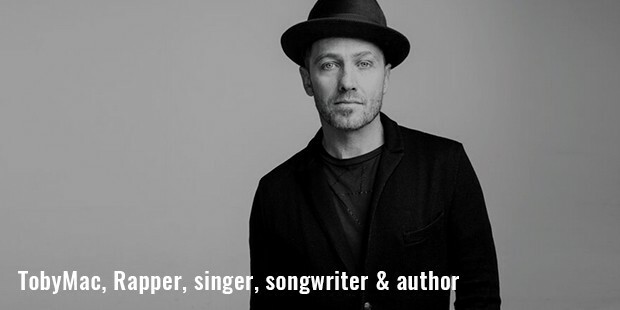 TobyMac is a Christian Hip hop recording artist, music producer, songwriter and author. He is popular among the people for being a member of the Christian trio from 1987 to 2000. He has several hit solos to his credit, which include Momentum, Welcome to Diverse City and Eye on It. 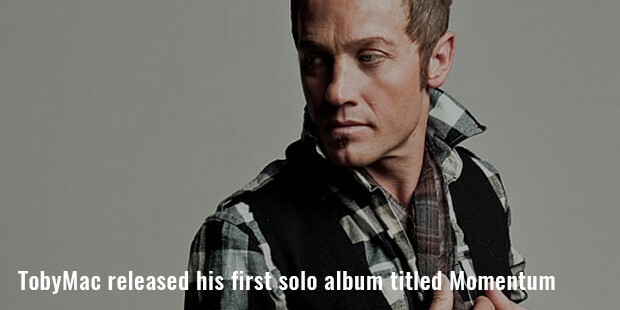 He has more than 10 million albums to his credit both in DC Talk and solo career. His album Alive and Transported earned him a Grammy Award for Best Rock or Rap Gospel Album in the 51st Grammy Award. In 2013 his album Eye on It earned him another Grammy for Best Contemporary Christian Music Album. 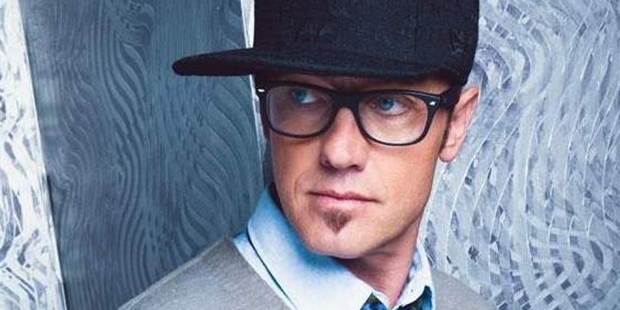 TobyMac was born as Kevin Michael McKeehan on 22 October 1964 in Virginia. Toby fell in love with the beats, rhymes and raps very early in life. He fell in love hip-hop music after listening to Rappers Delight. 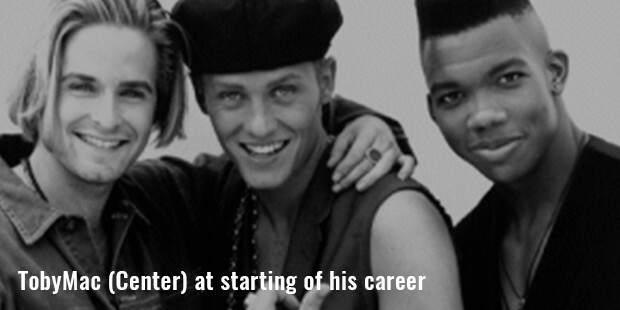 Toby formed DC Talk in 1987 along with Michael Tait. Kevin Max Smith joined the duo in 1988 when they released Christian Rhymes to a Rhythm. The trio set on tours and released their first gold album in 1990. Their last album Supernatural was a platinum hit. Later the members parted ways in 2001 and have not toured together since. 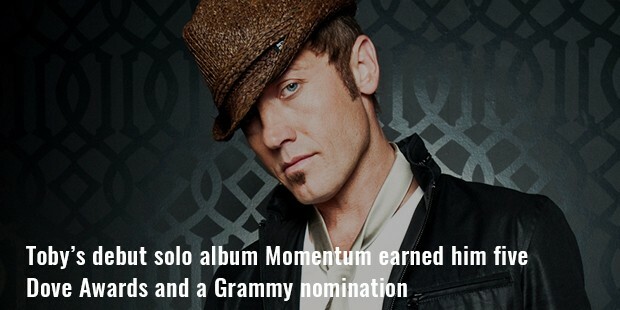 In 2001, after parting ways with DC Talk, Toby released his first solo album Momentum. The singles from the album were well received by the audience, making it one of the hits of his career. In 2002, he released his Christmas album with only two tracks. His third album Welcome to Diverse City released in 2004. The album garnered the 54th position on the Billboard 200. Toby’s next album Portable Sounds released in 2007 and entered the top 10 on the Billboard 100 and No.1 on Sound Scan Contemporary Christian Overall Chart. In 2008, he released his album Alive and Transported, which earned him a Grammy Award and a GMA Dove Award. His next two albums, Tonight and Portable Sounds were again chartbusters. In 2015, he released his latest album This Is Not a Test which was loved and appreciated by the audience all over the world. Toby’s debut solo album Momentum earned him five Dove Awards and a Grammy nomination. Toby’s songs have been featured in several films including Never Back Down, Transporter 2, The Fast and the Furious: Tokyo Drift and also for the television show Prison Break. His album Welcome to Diverse City won him the Dove Award for Rap/Hip-Hop Album of the Year. McKeehan married Amanda in 1994. The couple is blessed with five children. Toby’s son Truett has appeared in several albums including Momentum, Re:Mix Momentum, Portable Sounds and Eye on It.